E-Prime 3.0 requires a valid HASP key attached to the machine of operation in order to utilize the software. 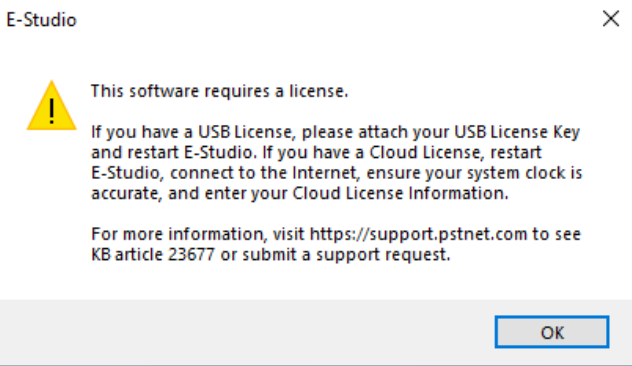 If the hardware key is not attached to the machine upon first opening E-Studio, the user will be presented with a message informing them that the grace period is not available until the license has been validated. If the hardware key has been validated but is then removed from the machine, E-Studio will enter a 'grace period' until the HASP key is reattached. The grace period allows the user to open, design, and save experiments within E-Studio without having the license key attached. However, the grace period allows only a limited amount of times that the user can open, generate, and save experiments. Once the grace period is completed, the user will be unable to use E-Studio until the hardware key is attached to the machine again. Your hardware key is not connected to the machine; connect your hardware key to the machine and start E-Studio again. Your hardware key driver is not installed or is not properly configured. If the HASP/SafeNet Admin Control Center cannot detect your hardware key, then remove the hardware key and install the latest HASP/LDK driver from the Gemalto Sentinel Customer Community. Note that a reboot of the machine may be required after installation. The HASP service is being blocked; disable any firewall or antivirus programs that may be active on the machine. 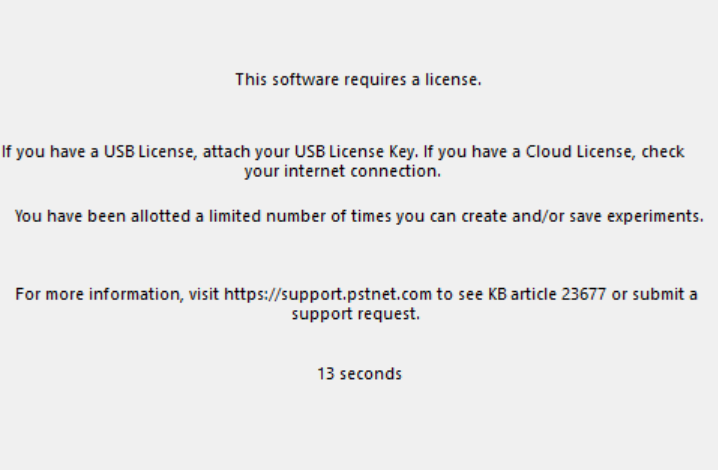 If you have completed the previous steps and are still encountering an issue, download and run http://www2.pstnet.com/downloads/e-prime/3.0/support/E-Prime3LicenseDiagnostics.exe while the HASP key is connected to the machine. Several files will be generated on your desktop; create a ZIP/RAR archive file containing these files and attach the file to a support request. A support request can be submitted by navigating to the Product Service and Support site and selecting 'Submit A Request'.